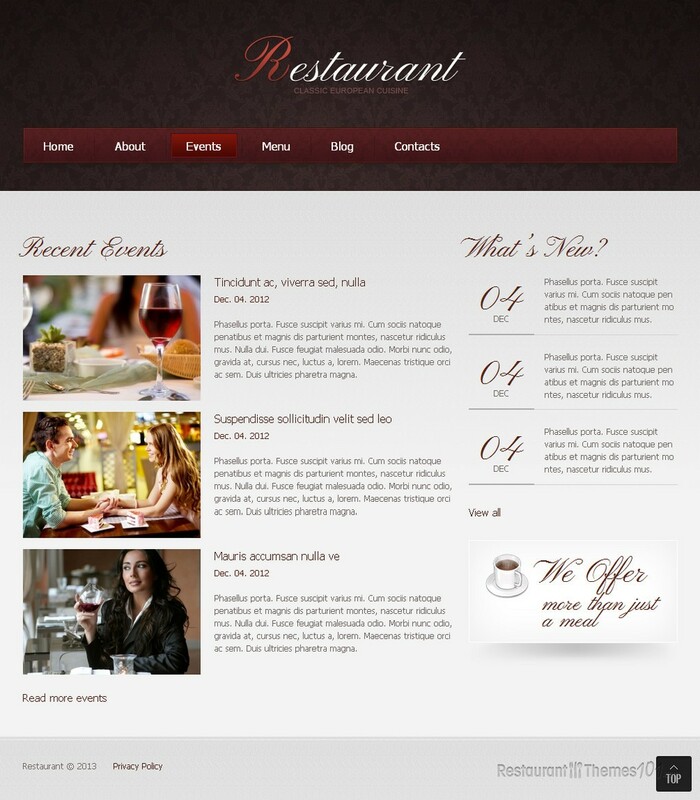 Restaurant Classic is a very attractive restaurant template for Joomla. It was created by Mercury and it is featured at Template Monster. This nice template looks very elegant and stylish. It features a nice background with the colors of rich brown and light gray and nice patterns that give the whole layout a classy style. The homepage features a fancy slider, where you can place nice photos of your delicious food or photos of you cozy restaurant atmosphere. Anything you place in this slider will be attention grabbing and eye catching, so make sure you place your best photos here and show your guests just how great and quality the service of your restaurant is. Right underneath this slider is a place for you to feature your most important posts. They will be featured with resized photos and some into text, and by clicking the “read more” button your guests will be redirected to a page where they can read the full post. 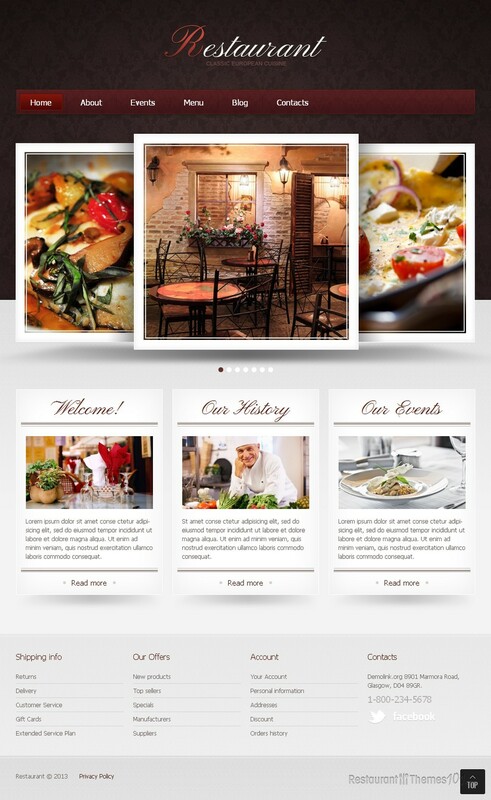 No matter if it’s your restaurant’s history you want to tell you visitors about, your latest events or a nice welcoming note you wish to write for them, featuring these posts on the homepage will drag the guests attention and place it right where you want it. 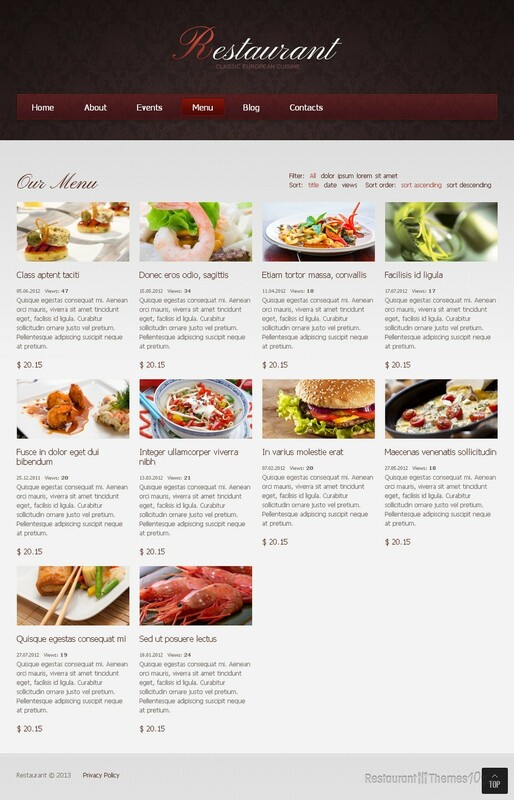 The menu can be created with 2, 3 and 4 columns. 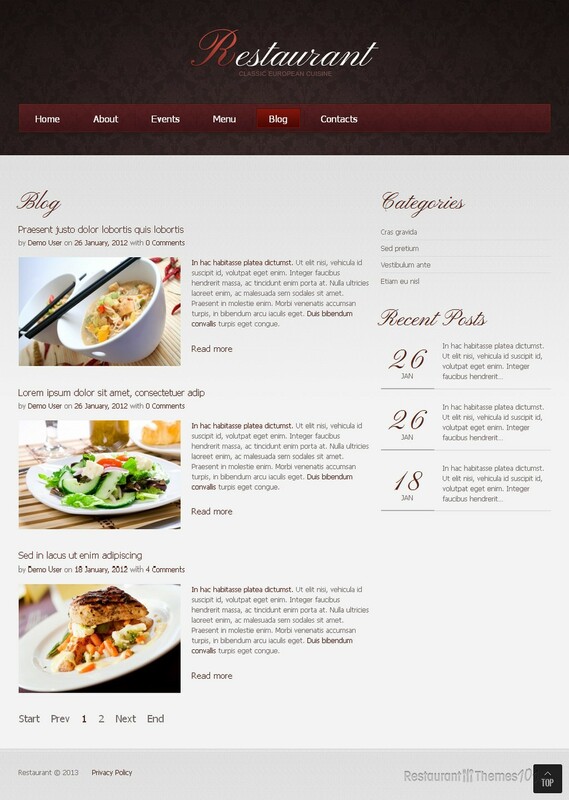 No matter which style you choose, it will be very easy for you to create your own unique menu with descriptions and prices, and you will love the result, as you will end up with an attractive, nicely organized menu. The contacts area features Google Maps integration with the help of which everyone can get directions to your restaurant easily and quickly. 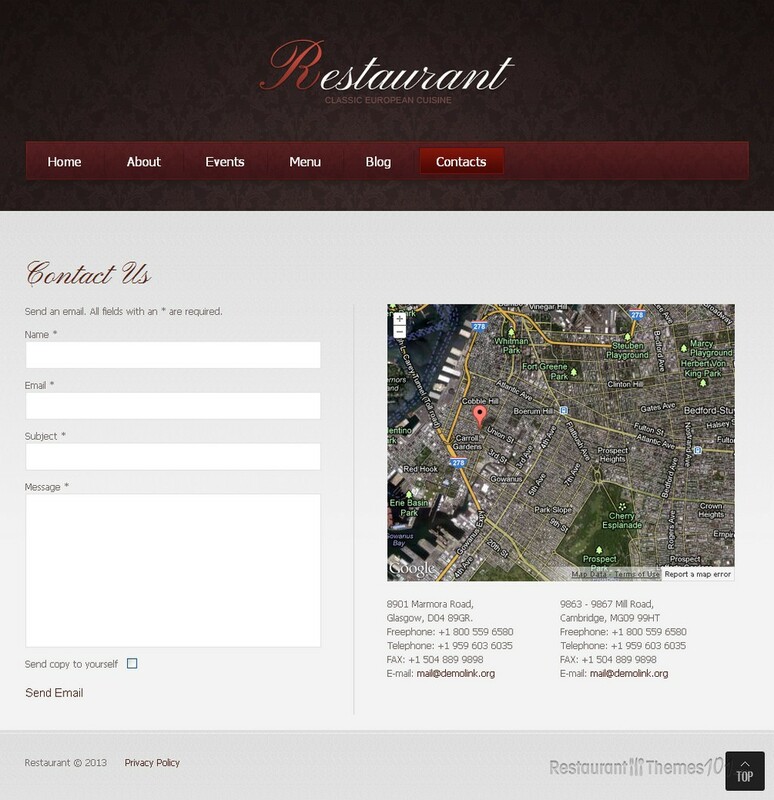 A nice contact form was also added to this Joomla restaurant template, for easier interaction with your visitors. 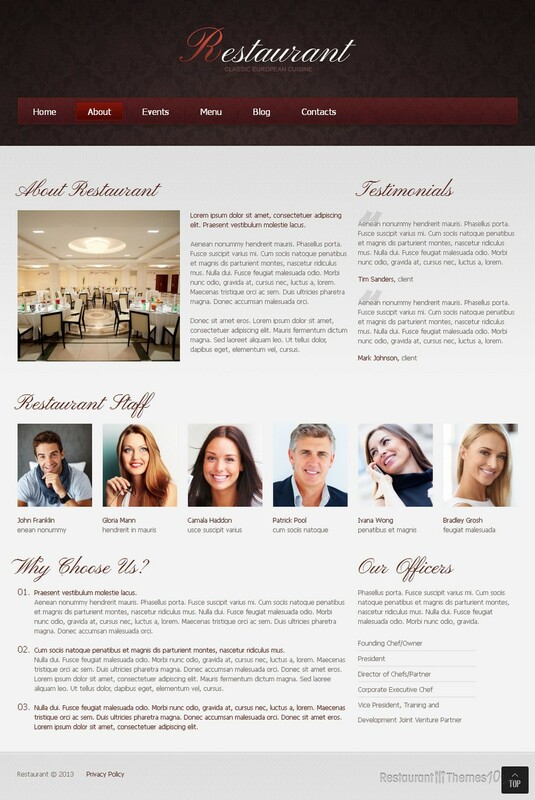 This template was built on the Gantry Framework with the K2 component extension included. A very powerful admin panel ensures you with ease of management, so you can run and maintain your website all by yourself, without having to pay extra cash to web designers.